Here at Philip Morris and Son we know that your shooting jacket is an extremely important item if you enjoy the outdoor lifestyle and should not be chosen lightly. When out shooting you need to make sure you have a jacket that never lets you down; it needs to keep you warm, dry, comfortable and allow you to move freely. Musto revolutionised the shooting jacket industry when the sailing specialists began to contribute, their innovative designs, original fabrics and new technology roused many other designers from slumber, so shooters now have more options than ever. Musto jackets and coats are designed to withstand the great outdoors, the new range for 2013 is particularly exciting and after the success of previous creations, we know things can only improve! The Musto Whisper jacket has been part of their range for the best part of 20 years and has continued to innovatively evolve. As the name suggests its aim is to be an extremely quiet jacket; in movement many high tech fabrics make a slight rustle, leaving you disadvantaged in the field, but the Whisper is different, it’s silent. As keen shooters know, a lot of game is easily startled at the slightest noise (I find duck especially astute like this) but with the Musto Whisper jacket you will only have to worry about the noises you make! It is designed for the standing gun on a game (pheasant, grouse, partridge and duck) shoot. But it does prove popular across many different country sports. 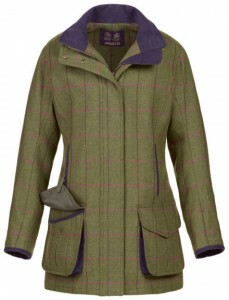 Also because the Whisper has a smarter finish than many shooting jackets, it is often favourable among customers for going to the races, rugby, point to points or to keep warm and dry whilst walking the dog. Like all Musto jackets, it also comes with a two-way adjustable and detachable hood. 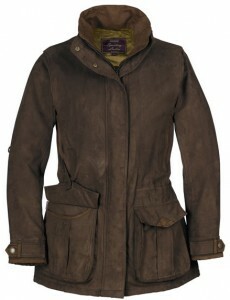 The Ladies Whisper Jacket comes in a lovely Chocolate colour as well as the Moss Green, (as shown on the men’s). 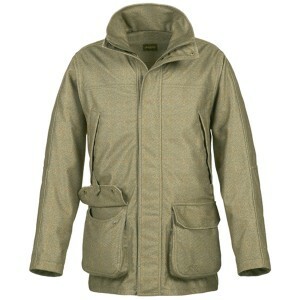 Another designed-for-discreet jacket is the Musto Macnab (pictured below). If you like the look of tweed but get frustrated with the heaviness of it, the Macnab is for you. Musto reinforce their reputation as an innovator as they cleverly use high resolution printed technology to create the illusion of a tweed pattern. The Macnab has improved movement and flexibility compared to woven cloths that are traditionally used in shooting clothing. The laminated material is whisper quiet, light, waterproof and breathable, making it perfect for the approach whilst stalking, but equally at home on the smartest game shoot. Musto named their jacket in honour of John Buchan’s novel ‘John Macnab’, which tells a story of two bored Londoners poaching, who aim to bag a stag, a brace of grouse and a salmon. Designed for the rough practicalities needed in the Highlands or in the field, the jacket is lightweight and durable making it ideal for a long uphill approach. A durable water repellent finish minimises water absorption in the outer material to prevent wetting out, helping to keep the wearer warm whilst lying on damp heather or standing on a rain swept moor. Fully waterproof with a two-layer adjustable hood, the Macnab Jacket features a synthetic suede lined collar and chin guard, as well as an inner security pocket to keep valuables safe and dry. The jacket also benefits from articulated sleeves which ensure that movement is unrestricted, and reinforced double layer fabric elbows which provide extra durability. 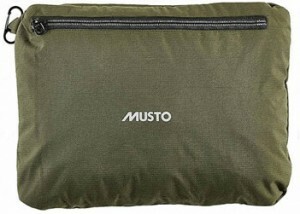 The Fenland Packaway is another of Musto’s clever creations. Get this, it only weighs 0.6kg; that’s less than a bag of sugar! Not only is its weight almost invisible, it also packs down into its own discreet internal pocket, which is particularly handy when you can’t trust the forecast. Musto’s Stretch Technical Tweed range is also rather impressive. 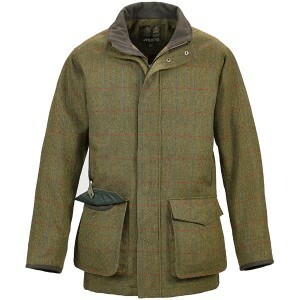 Tweed is perfect for blending in with your surroundings but it can often feel restrictive, Musto has designed a quintessentially British tweed jacket with extra stretch for improved flexibility and unrestricted movement when needed in the field. It’s composed of a unique Wool / Nylon / Lycra blend for durability and stretch with a waterproof, windproof, breathable drop liner; it offers high protection and performance with maximum freedom of movement. The Men’s Stretch Technical Tweed comes in Heath (below left) or Glenn (below right) and the Ladies Stretch Technical Tweed comes in Ismay (right). 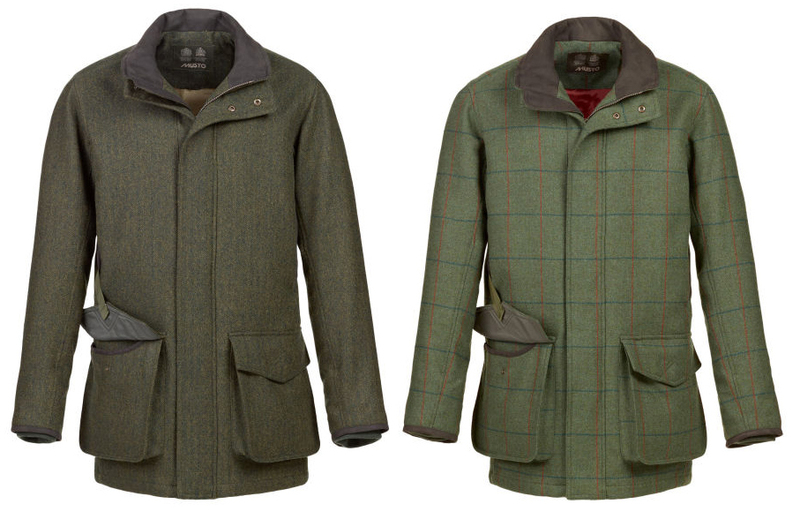 If you still find tweed a little too heavy or restricting, the Musto Macnab (above) or the Musto Lightweight Machine Washable Tweed (next) may be a more suitable option. Another tweed option, that is 25% lighter than previous tweeds, is the Musto Lightweight Machine Washable Tweed Jacket (pictured below). As the name suggests it can be washed at home at 30°C, without jeopardising the shape, feel or colour of the lightweight tweed jacket. Musto developed a plasticising process with a Scottish Mill which coats the fibres and scales making them smooth and flexible, rather than coarse and stiff. This consolidates the cloth so that the original handle, vibrant colour and shape are maintained when washed at 30°C, which provides the extra benefit of being easy-care with no sacrifice to the cloths premium feel. The new Calder colour offers excellent camouflage when shooting and very good protection from the elements. 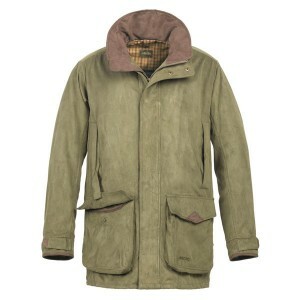 Country Clothing, Musto, musto clothing, Musto Fenland Packaway, Musto Jackets, Musto Machine Washable Tweed, Musto Macnab, Musto Shooting Jacket, Musto Shooting Jackets, Musto Stretch Technical Tweed, Musto Technical Tweed, Musto Whisper Jacket, shooting, Shooting Clothing, shooting jackets, Tweed. Bookmark.